If you are planning to sell your old, used, second hand, accidental or unwanted car, feel free to get in touch with Waikato’s most popular cash for cars Hamilton based Company called Sell My Car Fast. When you do business with us, you can expect nothing less than top cash for cars! We will even throw in free car removal anywhere in Waikato. So, if you have an old vehicle that has broken down due to any number of possible maladies, there is a solution to your woes. You won’t have to go through all the hassle and stress of trying to sell it on the private market. You will just end up getting less money than your car deserves. How to get the maximum cash for cars? The team at Sell my car fast, is just a toll-free call away. Call us now on 0800 909 070 and you will be our next happy and satisfied customer. If you would prefer to contact us online, then you are in luck. The reason for this is that we have a quote request form on our website. Fill it out and we will get back to you fast! When you contact us, you will need to provide us with your vehicle’s make, model, age and current condition. This is to ensure that we can take this information and use it to arrive at a fair and generous price quote. Once we get that information off you, you can expect us to get back to you as quickly as possible with a free quote. If you accept our cash offer, we can then arrange to come over at a time and place that suites you to pay you top cash and remove your vehicle for free! Up to $9’999 Cash for Your Car, On the Spot! 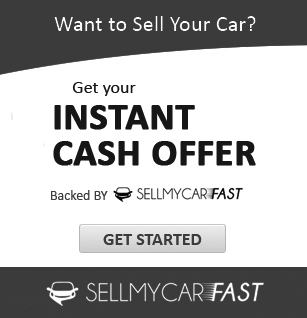 Here at SellMyCarFast, we are proud to offer the best cash prices for cars than anyone else in town. 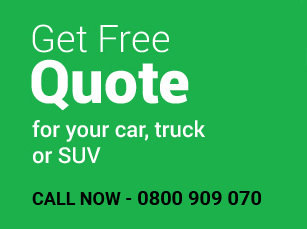 We buy all kinds of vehicle, including vans, Utes, 4×4’s, SUV’s, trucks, and cars. And we pay the best cash, which can go all the way up to $10K for automobiles that are in good enough condition. Trucks can get up to $15’000 seeing as they are bigger and have more steel on them. How much can your vehicle be worth? If you try and use the private market as a means to sell any kind of vehicle, you can expect prospective buyers to attempt to drive the price down. We will not do any such thing. We will pay the most money that your vehicle can possibly be valued at. The best thing about our pickup service is the fact that we won’t be charging you any money for it. It is completely free of charge! We won’t hide the cost by paying you less for your automobile either. Some scrap car removal companies make their customers do all the work when it comes to transporting the vehicle to their salvage yard. They won’t buy the car unless the customer hires a towing company or uses an alternative method for hauling the vehicle to the cash for cars-company’s place of business. Accept our fair and generous cash offer, and take advantage of our free auto removal services Waikato Wide. In most cases, we remove unwanted vehicles on the very same day, however, exceptions can happen. If you are living anywhere in Hamilton, Waikato then try our Car Removal services. The worst thing to experience when trying to sell an unwanted car is the fruitless search for a Cash for Cars Company that buys your specific make or model. You can be searching all over town, and find nothing but places that buy one of the most popular three brands but none others. Here at SellMyCarFast, we want the most possible number of people to have the option of selling their vehicle to us. This is why we will not reject any vehicle regardless of what the make or model is! You do not have to worry about your automobile’s brand when dealing with us. We buy all major and regular brands like Toyota, Nissan, Holden, Honda, Hyundai, Mazda, Suzuki, Isuzu, Ford and much more. So regardless of what kind of vehicle you are trying to sell, get in touch with us and sell it! We will buy it no matter what. When selling a vehicle, it is normal for it to be harder the worse its condition is. That is why many people find it to be such a hassle. If you are trying to sell a clunker, or a car that is so damaged the cost of repair exceeds the value of the vehicle in question, you will find it even harder. But if you instead decide to choose to sell your automobile to us here at SellMyCarFast, you will have no trouble. And you won’t even have to wait! The sale will be over on the same day that you got in touch with us to begin with. Selling your old car in Hamilton or anywhere in Waikato? Get in touch with us and sell your car for top cash. Simply give us a ring and one of our crew members will assist you with the instant quotation. Please keep your vehicle details handy, especially, the VIN number OR the engine’s chassis number so that we can fetch your vehicle details without asking you so many questions.